Modular Platform Unit- Platform must be supported at each end by either a stair unit (MASU-P) or an end support (MAEU-P) and is supplied with hardware to attach to other modular platform units. 50 lb. per sq. 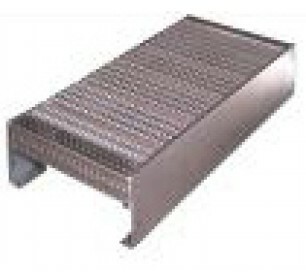 ft.
Unit is supplied with hardware to attach to other modular platform units.